Incumbent Member of Parliament (MP) Sitoh Yih Pin will stand again as the People’s Action Party candidate in Potong Pasir in the coming General Election. Mr Sitoh, 51, has been the MP of the Single Member Constituency (SMC) since he wrested the seat from Singapore People’s Party’s (SPP) Lina Chiam in the 2011 General Election by just 114 votes. Prior to 2011, Potong Pasir had been an Opposition ward for 27 years with Mr Chiam See Tong as its MP. 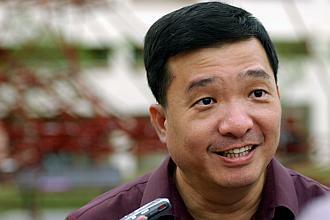 Mr Chiam left the ward to contest neighbouring Bishan-Toa Payoh GRC in the 2011 GE. Mrs Chiam, who is currently a Non-Constituency Member of Parliament, has said she will return to contest Potong Pasir in the next GE. With Sitoh apparently doing a good job, and also with the former National Solidarity Party (NSP) secretary-general and lawyer Tan Lam Siong declaring that he will be contesting the ward as an independent candidate, it will most likely be a shoo-in for Sitoh.